What the Trump/Pence Regime Will Mean for Black People—And What Must Be Done About It, NOW! 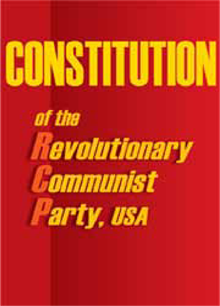 The Revolutionary Communist Party IS ORGANIZING NOW TO OVERTHROW THIS SYSTEM AT THE SOONEST POSSIBLE TIME. 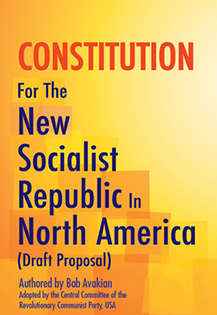 Preparing to lead an actual revolution to bring about a radically new and better society: the New Socialist Republic in North America. Or Revolution Books stores nearest you. Go here for contact info. Stuck in the "Awful Capitalist Present" or Forging a Path to the Communist Future? 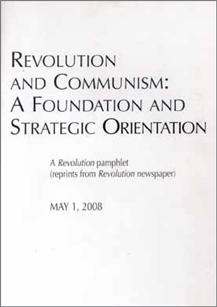 Question: Who can join the Revolutionary Communist Party? Question: Why do we not initiate violence during this period when we are carrying out the “three prepares”—why do we not just “get it on,” and try to bring down this system, right now? Question: Aren’t Ferguson and Baltimore examples of the people initiating violence? Making revolution against a powerful and vicious enemy—and going on from there to bring into being a whole new world, without exploitation and oppression—is an incredibly challenging and complex process. Such a revolution requires leadership; it requires an organization with a sweeping vision, a scientific method to analyze reality and how to go about changing it, and serious discipline. An organization that can awaken and unleash the revolutionary potential of the masses of people, direct their outrage against the real enemy, and loft their sights to the emancipation of all humanity. An organization that can chart the path through the difficult twists and turns of the revolutionary process. 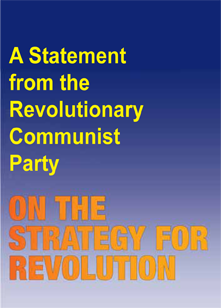 That organization is the revolutionary vanguard party. Only with an organization such as this can the masses rise to the historic challenges, and win their emancipation. 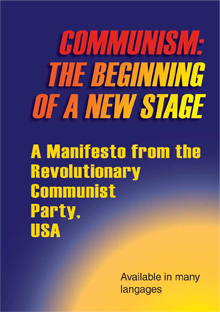 The Revolutionary Communist Party, USA has taken on the responsibility to lead revolution in the U.S., the belly of the imperialist beast, as its principal share of the world revolution and the ultimate aim of communism. This Party is built on and takes as its foundation the new synthesis of communism that has been brought forward through the body of work and method and approach of Bob Avakian. Its members are united in their profound desire for a radically different and better world, and their understanding of the need for revolution to get to that world. They have dedicated themselves wholeheartedly to revolution, and on the basis of that they channel their individual abilities and passions to the cause and needs of this revolution.